I heard on the news today that Roger Moore has died. I was a bit surprised that he was 89. I would have guess he was younger. He has had a varied career. 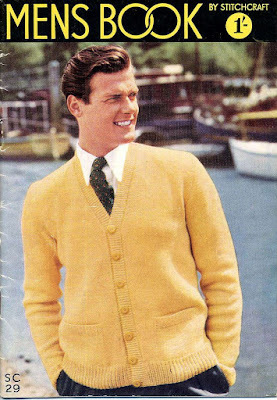 Before he was James Bond he was a model, showing off sweaters on knitting patterns. 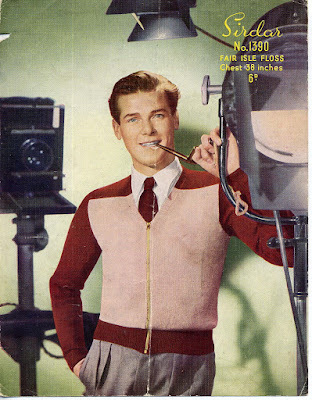 This was back in the 1950s. 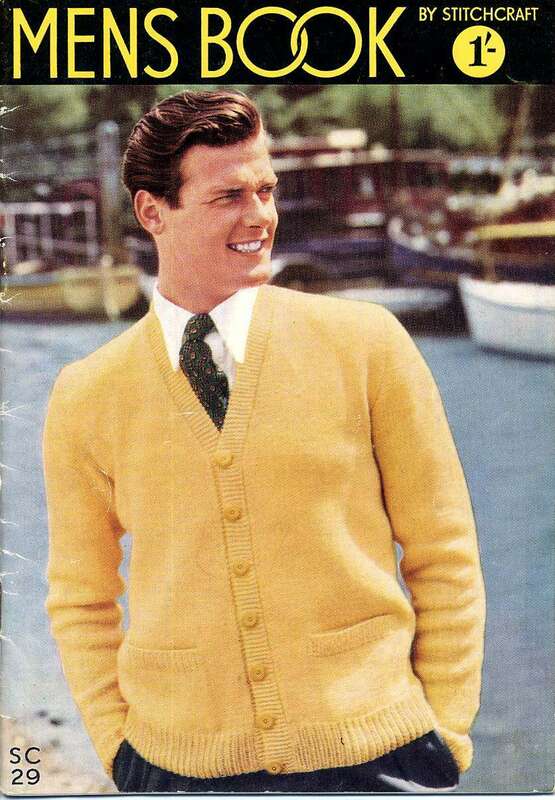 The model is far better looking than either of the sweaters. I too, thought he was younger.